Whether you’re into cosplaying or just want to swing around Kratos’ signature weapons from the God of War series, this video can help you out. YouTuber Odin Makes is best known for his pop-culture and video game-themed replicas. With an impressive attention to detail while using even basic materials like foam, Odin makes Kratos’ Blades of Chaos look amazing. This isn’t the first time Odin’s dabbled with God of War-related replicas. 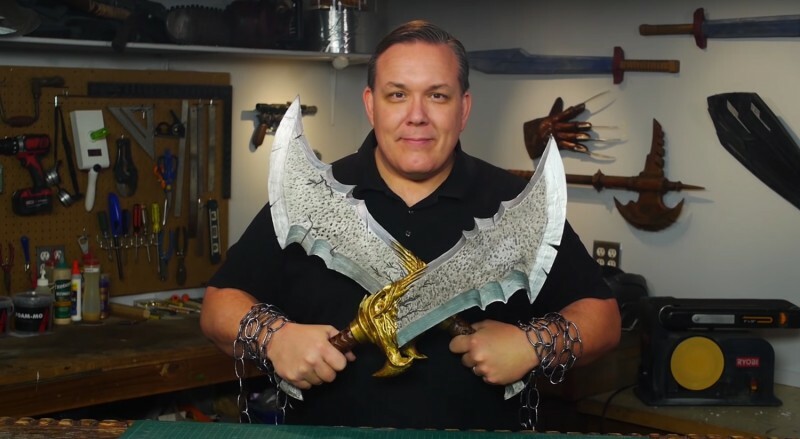 He previously made Kratos’ weapon from the latest God of War, the Leviathan Axe. It even lights up!